This guide assumes you have already created a gallery within your Cincopa account. If you have not created a gallery, please follow the Getting Started Guide or the How to Create a Gallery Video before continuing. 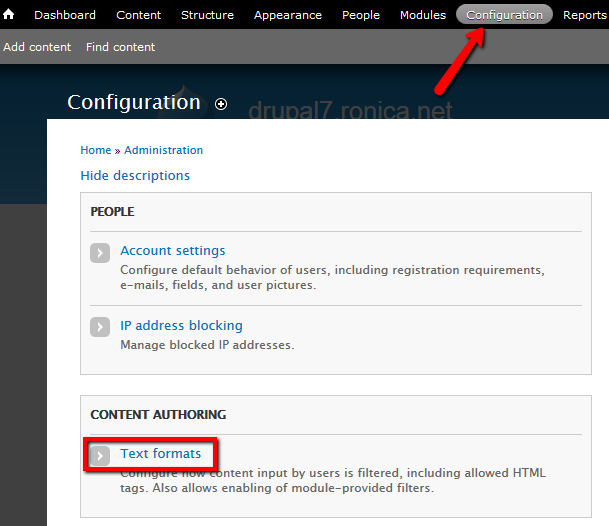 Download the Drupal Module from the Drupal website. The download can be found near the bottom of the page. Two options are available: tar.gz and .zip. This article will use the zip format. 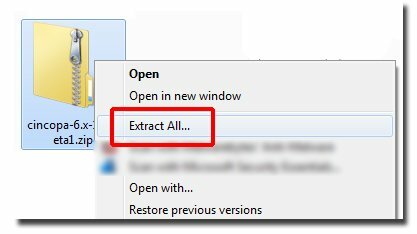 Save the file to your computer in a place you can easily locate. Uncompress (unzip) the downloaded file. Open the uncompressed folder, inside you will find a subfolder named “cincopa”. 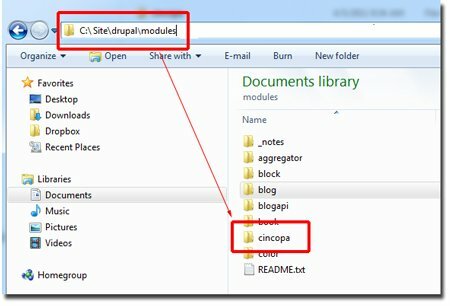 Copy the entire subfolder named “cincopa” into the modules folder in your Drupal website file structure. 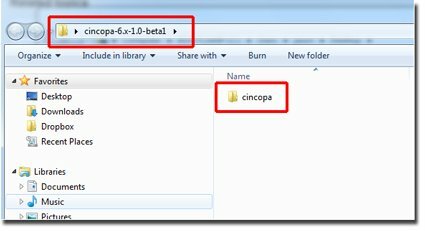 Upload the cincopa module folder to your web host (if necessary). Log in to your Drupal Administration section. 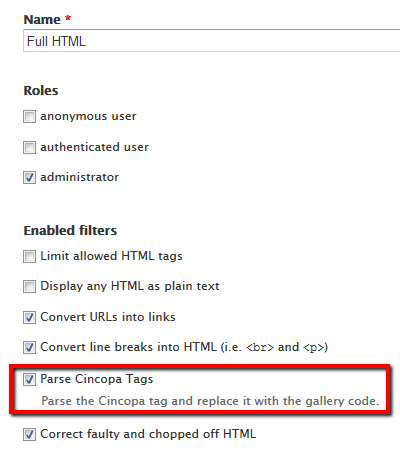 Locate the Cincopa module, check the box under the enable column and click the Save Configuration button. The Cincopa module will be in the “Other” section near the bottom of the page. Click the button at the bottom of the page to save your changes. Note: You will need to configure at least one input format for the users authorized to use the Cincopa module. If you need to configure more than one input format, repeat this step for each input format. You can now use the cincopa 123456789 tag on every node which uses the Input Format you’ve attached the Cincopa Filter to.